Play Fruit Spin Touch® for real! 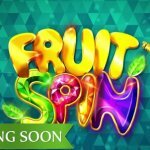 Fruit Spin Touch® is one of the many mobile slots that has been exclusively available at just one NetEnt Casino before it was globally released at all NetEnt Casinos. The game brings a fruitastic time on the reels and this has all to do with the symbols and the slot features. 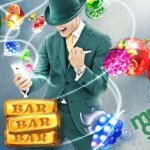 This fun and fruity mobile slot is bringing sparkling ruby, emerald, and sapphire fruits while the classic Bar symbols are poured in gold, silver, and bronze, accompanied by the traditional 7 as well. Thanks to the old-fashioned slot symbols used in Fruit Spin Touch®, you get a chance to enjoy a classic slot experience while the game has been enriched with some of the latest slot features including Stacked symbols, Wild substitutions, Scatter symbols, Free Spins and the Lucky Wheels feature. The first thing you’ll notice when opening Fruit Spin Touch® is the extra row which will lead to another great experience. First of all, you’ll have 40 bet lines available while it gives the Stacked symbols, 2×2 symbols and 3×3 symbols the space to perform. In both the main game and during Free Spins, all regular symbols appear as stacked symbols on the reels. This classic/modern slot game with its Stacked symbols, 3×3 Wilds and 3×3 Scatters, as well as the Lucky Wheels feature in the main game and in Free Spins, offers limitless golden opportunities to the lucky player. 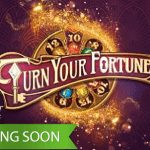 When you decide to visit one of the many NetEnt mobile Casinos to play Fruit Spin Touch®, you’ll enjoy a fruity fun fusion of old-school slot elements combined with some of the most recent slot features. You’ll be treated a great mix of slot features including Wild substitutions, Scatter symbols, Free Spins, and Stacked symbols while the game also introduces the Lucky Wheels feature. As mentioned before, all symbols will appear as Stacked symbols, except for the 3×3 Wild and 3×3 Scatter. This last symbol can be found on the reels in the main game, as well as during Free Spins. The 3×3 Wild, on the other hand, is only available during the Free Spins feature. While every single slot feature in Fruit Spin Touch® adds to a great slot session, it’s the Lucky Wheels feature that’ll be in the spotlight, bringing 3 Lucky Wheels, each spinning independently. The Lucky Wheels feature will award either a coin win or Free Spins. If any part of the 3×3 Scatter symbol appears in the reels during a spin, the Lucky Wheels feature will be activated. The more of the 3×3 Scatter is visible, the more spins you’ll earn with a maximum of x3. This means each of the three Lucky Wheels will spin once if only one-third of the 3×3 Scatter is visible. They will spin twice when two-thirds of the 3×3 Scatter is visible, but the wheels will each spin three times when the entire Scatter is visible. During the Lucky Wheels feature, the three Lucky Wheels will be able to either award coin wins or activate the Free Spins feature. If a Lucky Wheel doesn’t show a ruby, a coin win will be awarded. If a ruby is shown, this ruby will be added to the Ruby Meter. When three rubies fill up the Ruby Meter, 5 free spins will be activated. For every extra ruby, one extra free spin will be added. Since the 3×3 Scatter can appear during Free Spins, the Lucky Wheels feature can be reactivated if one or more rows of the Scatter appears during the Free Spins feature. During Free Spins, the 3×3 Wild symbol becomes available as well which brings a lot of advantages in terms of big wins, making Fruit Spin Touch® a game many will apprciate.